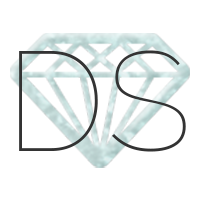 The Start earning page goes over everything you need to know about diamonds, points, and the new ranks. Also be patient since I haven't implemented all the perks yet, I'll get to that in the next day or so. Hope you all like this new setup and it makes things easy and fun to earn! P.S. Some future features may be unlocked just based on a certain number of diamonds you have, such as special fashions in a Society store... Making the fun last for those who reach the highest rank. Update: I'm working on automating some features in the Gallery. Right now you must have at least 100 points to make a purchase. This way it'll stop new members without points, from trying to make purchases. I want to ideally set it so that you can only purchase a fashion if you have the exact amount or more points than the items price. Going to work on that, hopefully it works! Note: If that does work I'll be able to make transactions automatically sent to the buyer right away, so no more waiting on your fashion! When you changed the ranks, they still stayed the same on members' profiles. Would you like me and other team members to change this so that it's according to their amount of diamonds? That part of the rank system is still done manually. No, that will actually be removed which I forgot to do, thanks for reminding me!